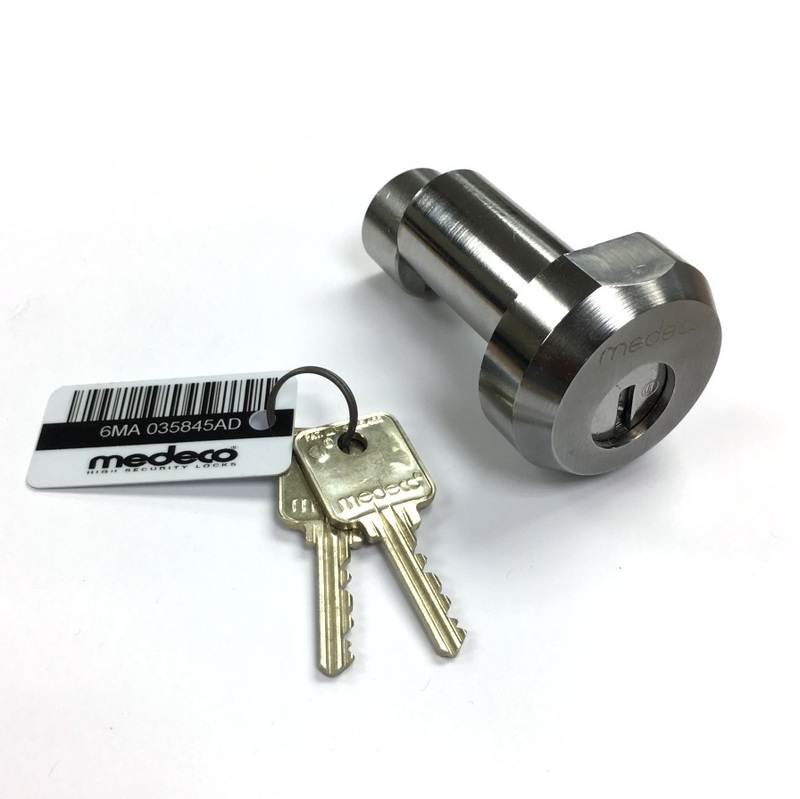 The Medeco Roll-up Gate Lock (also known as Roller Shutter Door Lock) has been designed to give high security to roll-up and store front gates that have a 1-7/8" track. 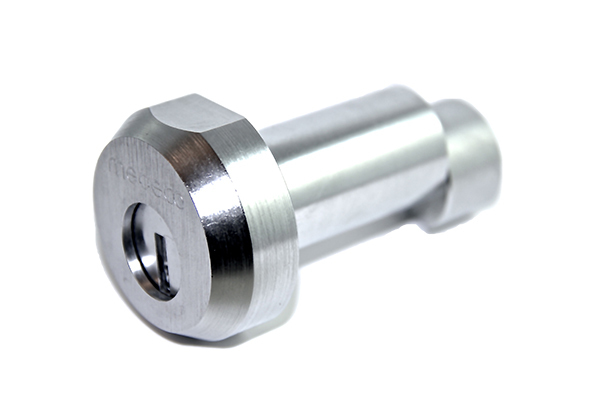 Hardened steel external parts add to the physical security of this lock. 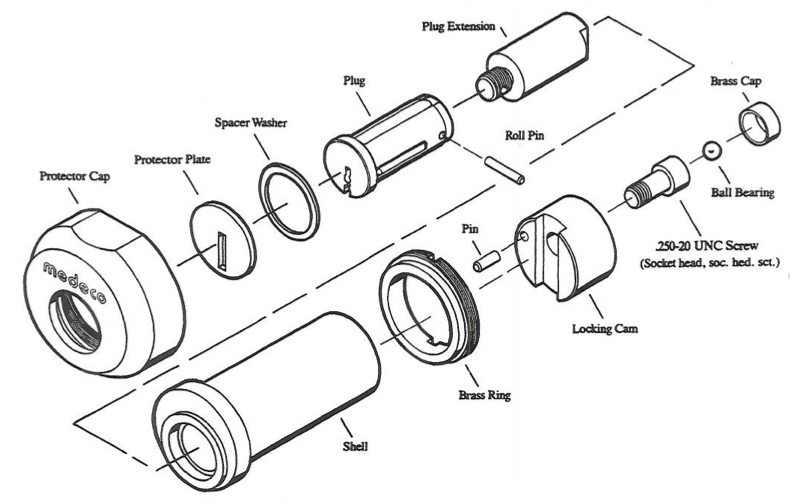 External parts are chrome plated to prevent corrosion. 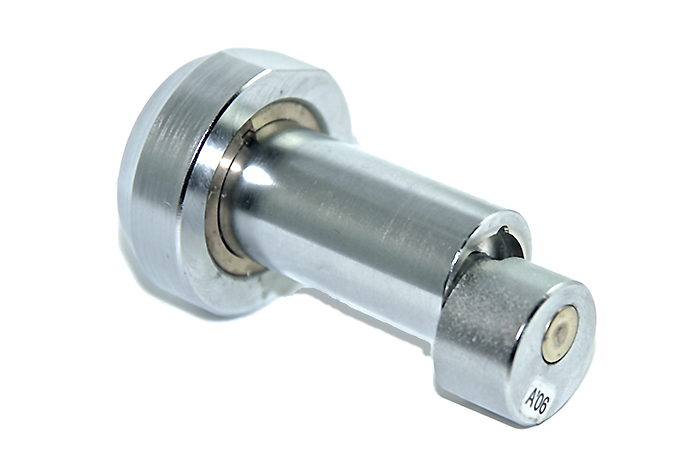 This lock features 1"shell body, 5 pin, locking cam, and has a specialized socket head cap screw that holds cam with a ball bearing in the socket cavity to prevent cam from being removed. 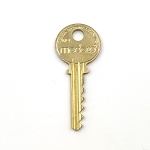 The lock comes with 1 keys, and additional medeco keys can be purchased.